Write-up of the challenge “Cryptography – Toil33t” of Nuit du Hack 2016 CTF qualifications. The weekend of 04/01/2016 is pre-qualification for the Nuit du Hack 2016 as a Jeopardy CTF. Having had the opportunity and the time to participate with some colleagues and friends, here’s a write-up resolution of the challenges which we could participate. Write-up of the challenge "Steganalysis - Stegano Sound" of Nuit du Hack 2016 CTF qualifications. 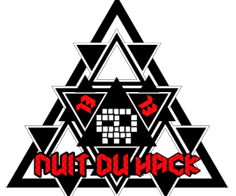 The weekend of 04/01/2016 is pre-qualification for the Nuit du Hack 2016 as a Jeopardy CTF. Having had the opportunity and the time to participate with some colleagues and friends, here's a write-up resolution of the challenges which we. Write-up of the challenge “WebApp - Find Me I'm Famous” of Nuit du Hack 2016 CTF qualifications. The weekend of 04/01/2016 is pre-qualification for the Nuit du Hack 2016 as a Jeopardy CTF. Having had the opportunity and the time to participate with some colleagues and friends, here’s a write-up resolution of. Write-up of the challenge “Inforensic – Invest” of Nuit du Hack 2016 CTF qualifications. The weekend of 04/01/2016 is pre-qualification for the Nuit du Hack 2016 as a Jeopardy CTF. Having had the opportunity and the time to participate with some colleagues and friends, here’s a write-up resolution of the challenges which we.